Edward P. Warnock (Ted) was born on May 31, 1938 in Providence, Rhode Island. In 1957, one year after graduating from high school, he joined the Marine Corps. After Basic Training, he was stationed at the Boston Navy Yard. For a time, Ted remained in Boston after being Honorably Discharged from the Marines, working as a Stevedore. In 1961, he seriously injured his back on the job. This injury (and subsequent treatment) would have serious implications for defining the rest of his life. In the early sixties, herniated disc operations were very invasive. The medical community boasted a fifty percent recovery rate. Ted was warned that his physical activities would be severely limited. It was then, he became interested in diving, researching it extensively. 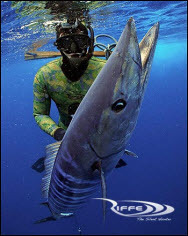 One day in 1962, after watching the World Spearfishing Championship on a small black-and-white TV, he decided he was going to be a freediving spearfisherman. He didn’t plan to do it alone…he pressed his younger brother into service. 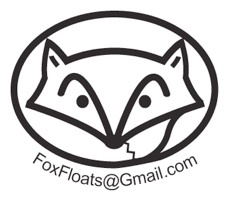 In the summer of 1962, equipped with rudimentary dive gear, they began snorkeling in fresh water. In 1963, after a summer of splashing around in fresh water, the pair went to the Ocean. Their careers were launched at the Point Judith break-wall in Narragansett Bay. Ted began competing in local meets in 1966. 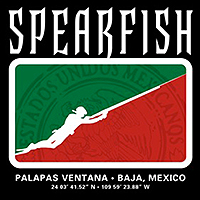 In 1967 he won the Inaugural Intercollegiate Spearfishing Tournament (held at Beavertail Point, Jamestown, RI). His individual catch was enough to out-score the entire second place, three-man team. 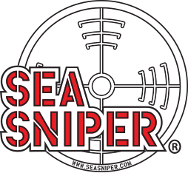 In 1969, he became Rhode Island Spearfishing Champion for the first time. 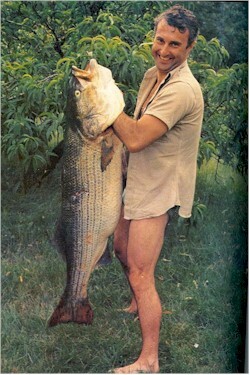 In August of 1971, Ted speared his life-time biggest striped bass (58 pounds,12 ounces) which remained the USA record for over twenty-five years. In 1973, he speared a record tautog (19 pounds, 6 ounces). Then in October of 1990, Ted eclipsed his own record with a tautog weighing 21 pounds, 6 ounces. In 1972, Ted was finally able to afford a Ryan Paddle Board. He used it to win his first North Atlantic Championship. He was North Atlantic Champion thirteen times. The last time was in 2004 when he was sixty-six years old. Ted entered his first National Championship in 1974 at Watch Hill, Rhode Island. He took sixth place and won largest fish. 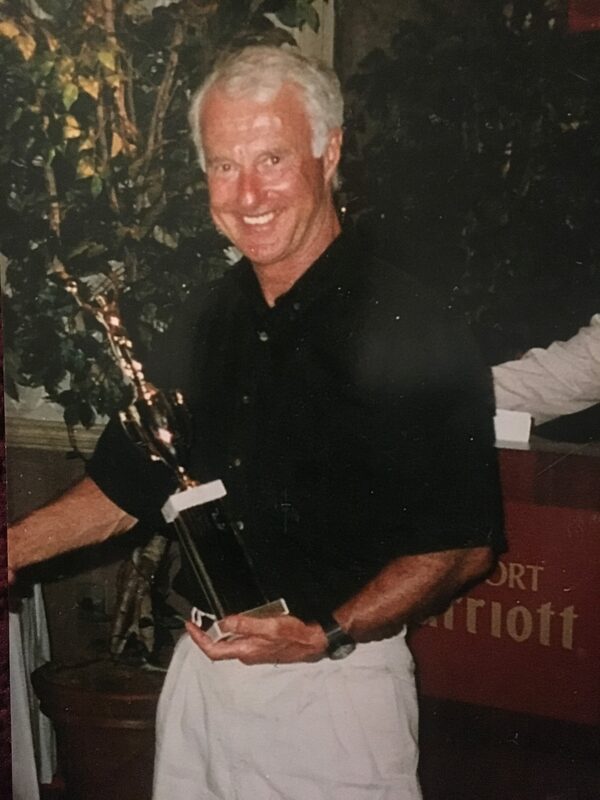 Later that year, Ted received the Helms Athletic Foundation/IUSA award for Spearfishing Athlete of the Year. He was a member of two National Championship Teams (1984 and 1990). He competed on the World Team in Palma Majorca, Spain in 1985. He was also Individual National Champion in 1990 at Table Rock Lake, Missouri. The family team consisted of his brother John Warnock and son Jim. Their team beat defending champions (who were second place finishers) by over one hundred points. Ted took an astounding thirty fish, while second place individual catch was twenty-two fish. A family team had not won the National Championships since 1954 when the legendary Pinder Brothers were victorious in Key West, Florida. Ted’s off-season training included distance running and bike riding. He was Rhode Island’s Best Master Runner (over forty) in 1979 and 1980. He ran races from two miles, to marathons. He completed seven marathons total. In his forties, Ted won many races in the Open Division, and consistently won the Master’s Division. Ted was known to enter two races in the same day, often taking trophies in both. In December of 2005, Ted became ill. The diagnosis was an aggressive form of Leukemia. Not surprisingly, in between chemotherapy treatments, Ted continued to dive. 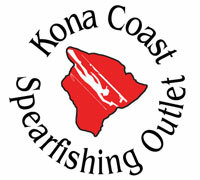 He continued to take quality fish, even while diving with low blood counts. His struggle ended on February 20, 2009. In 2012, Ted was inducted in the Rhode Island Coaches Hall of Fame. And in 2015, an athletic field in his hometown was named in his memory. 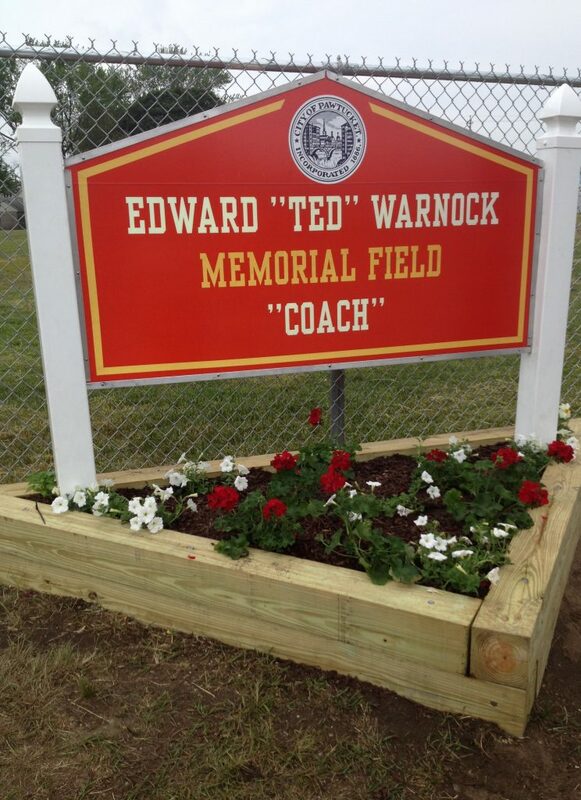 The Edward “Ted” Warnock Memorial Field. Ted and his wife Edna raised four children. He was many things to many people. He was a quality educator, scholar, coach, and athlete. He was a son, brother, husband, father, grandfather and friend. To the diving community, he humbly left his mark. 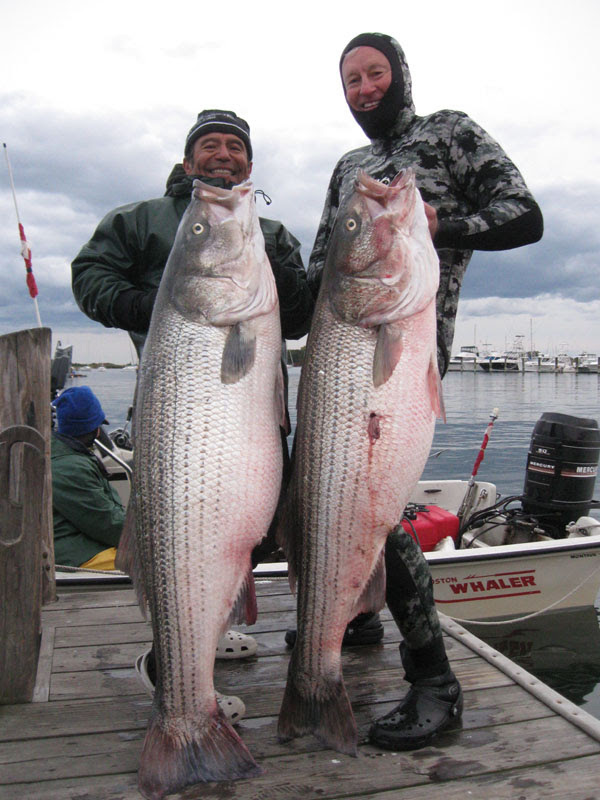 East meets west this week when California diver Rene Rojas visited New England hoping to beat his personal best stripped bass record of 32 pounds (largest fish at 2003 nationals). He teamed up with our own veteran diver John Warnock (both 65 years old) for some fall spearfishing action. When these two legendary divers get together, its pandemonium. Every big fish in the area has a reason to worry. Here are some pics of Rene with a trophy 65 pounder and John with a 50.